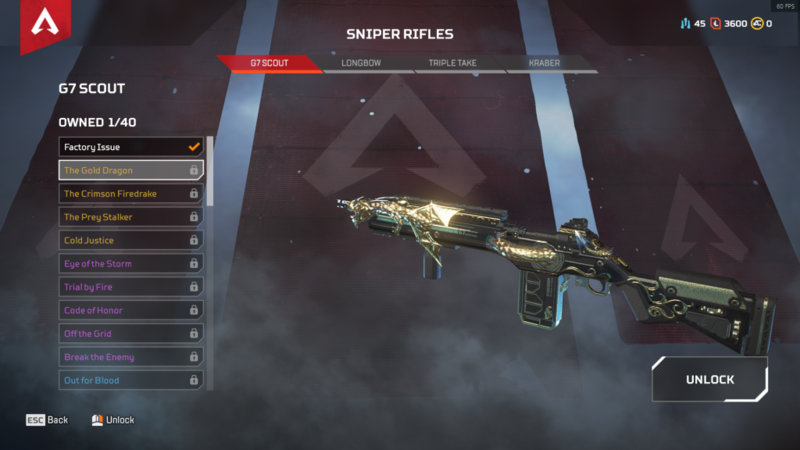 Show off your weapon’s bling on the battlefield. 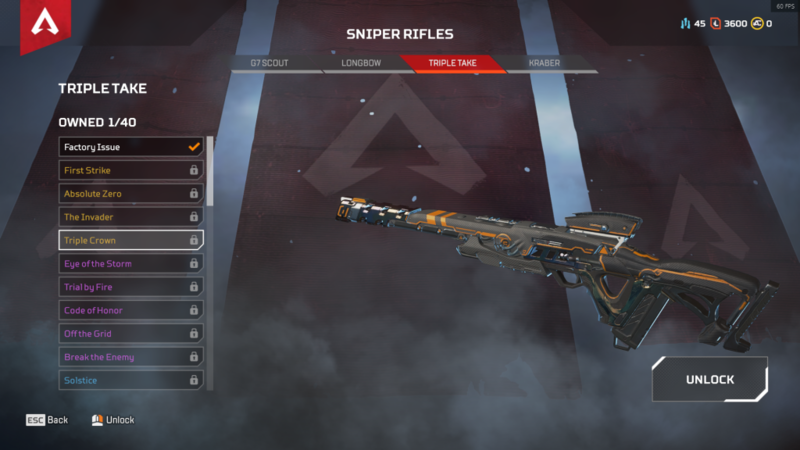 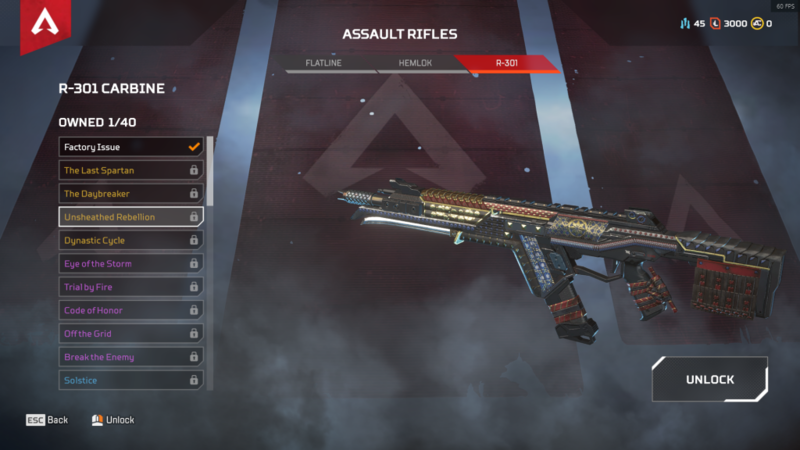 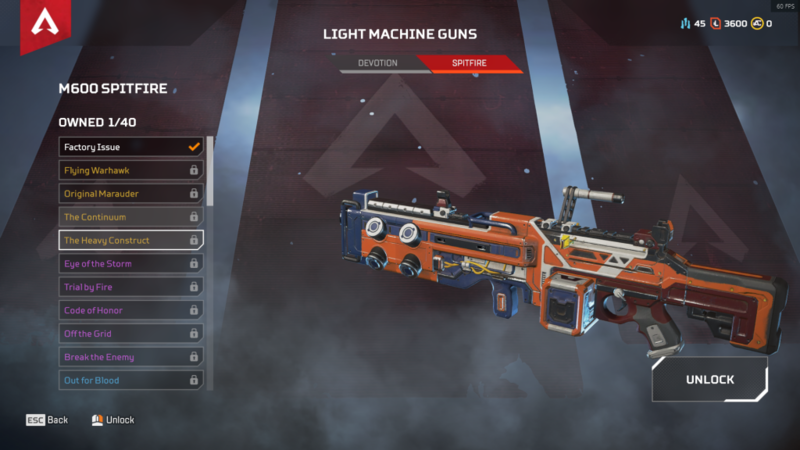 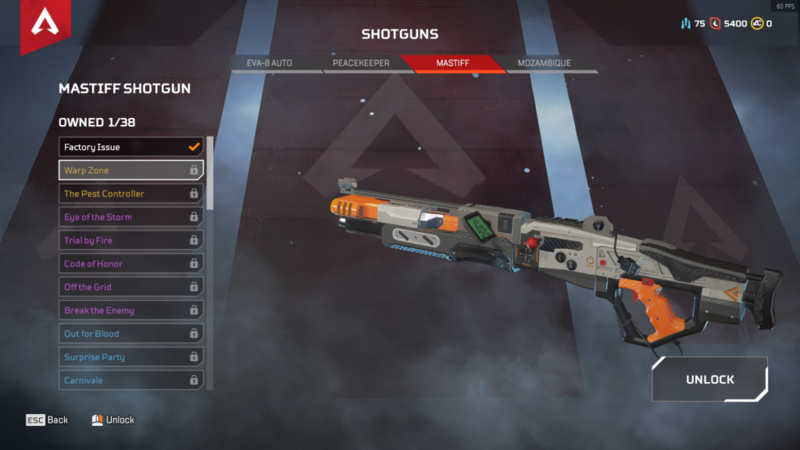 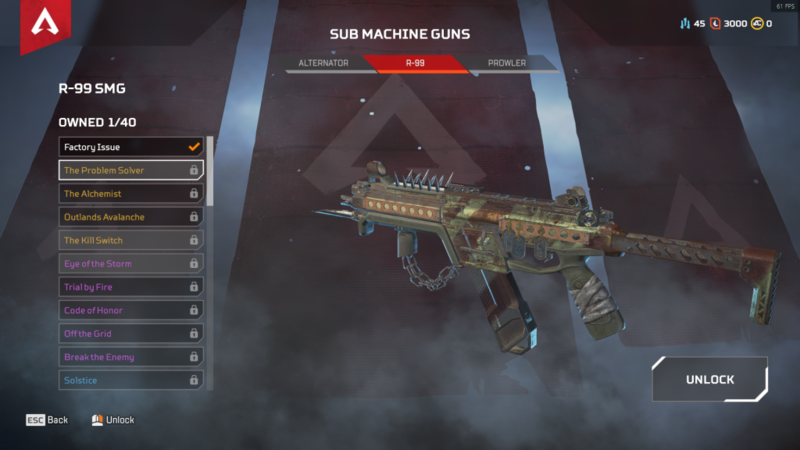 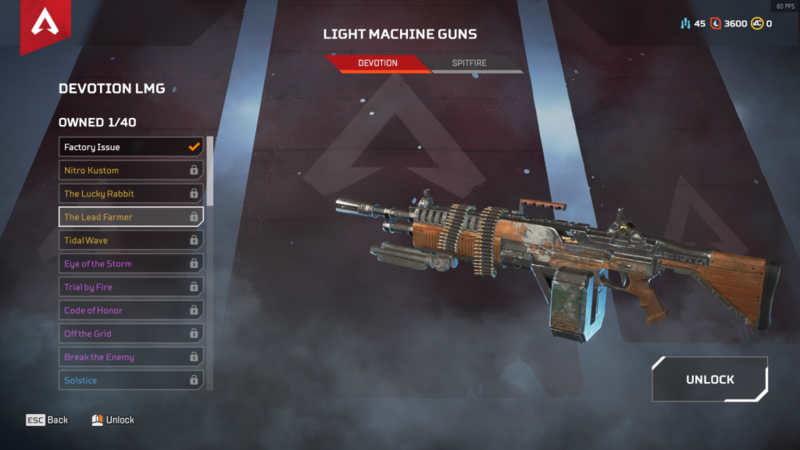 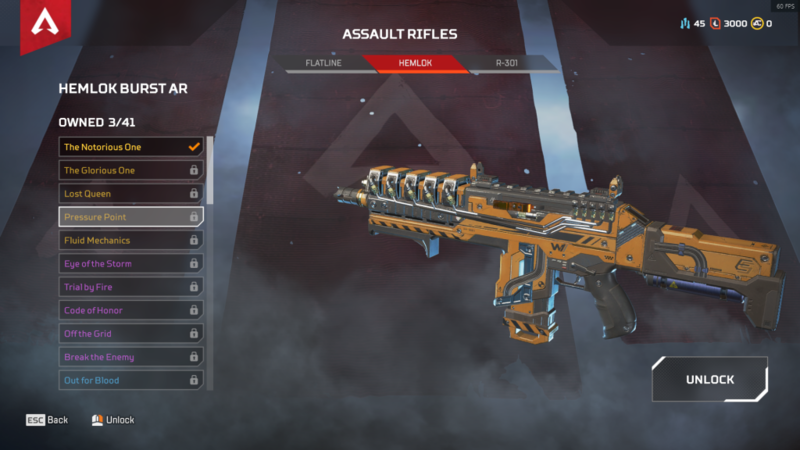 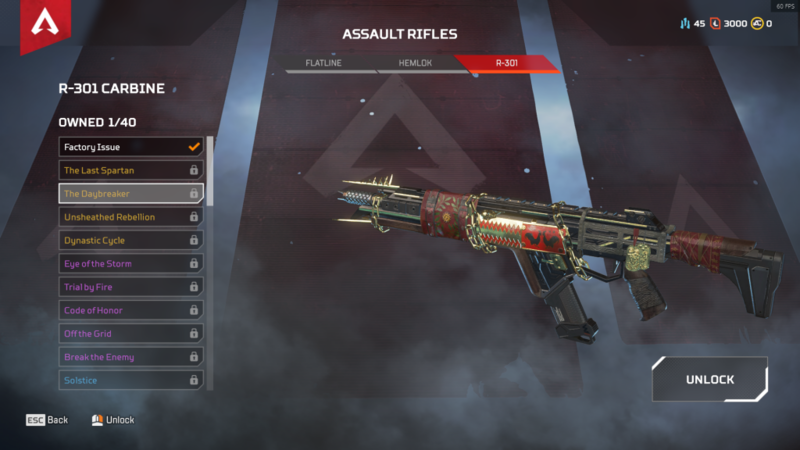 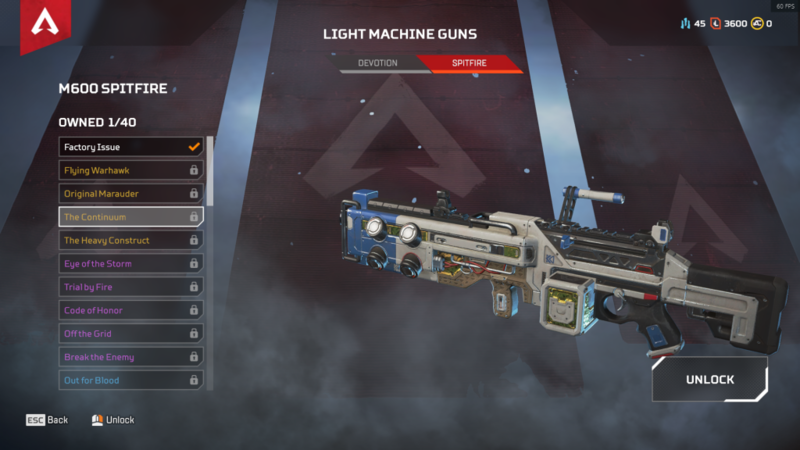 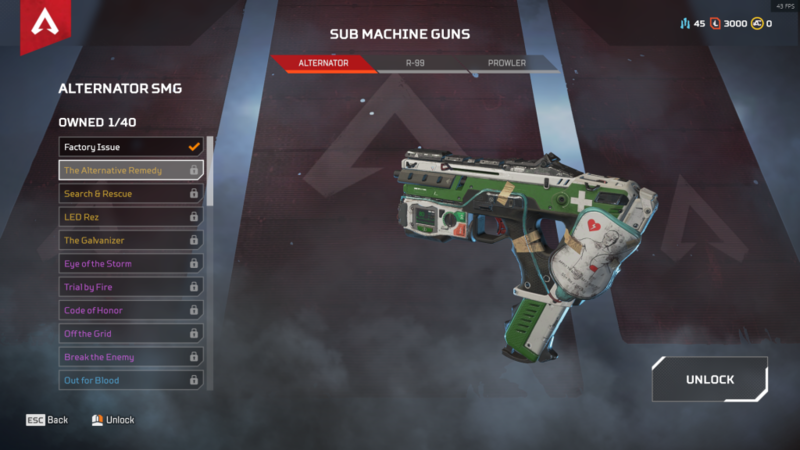 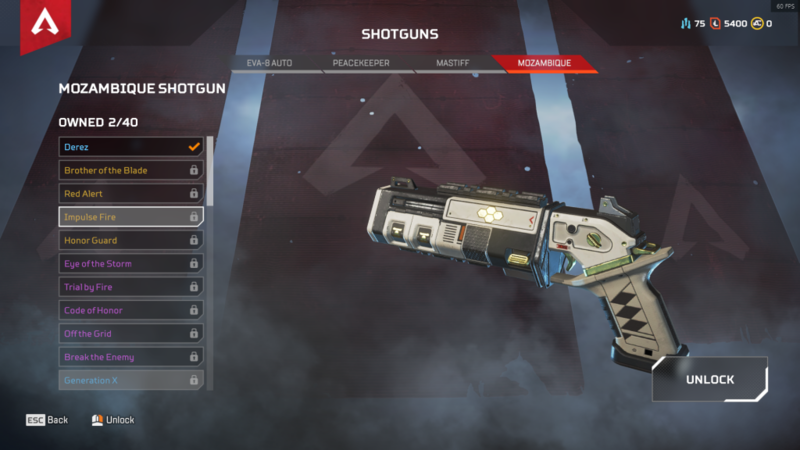 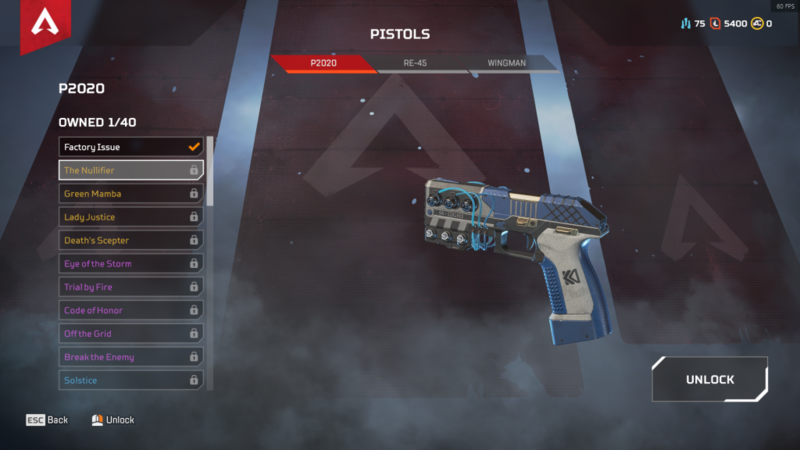 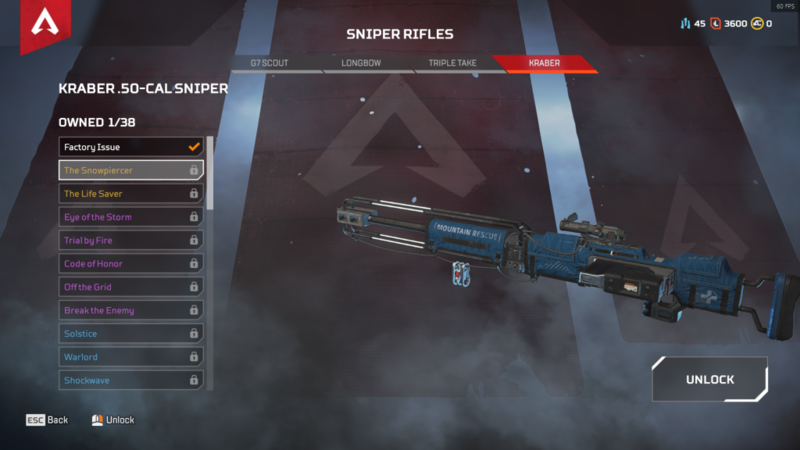 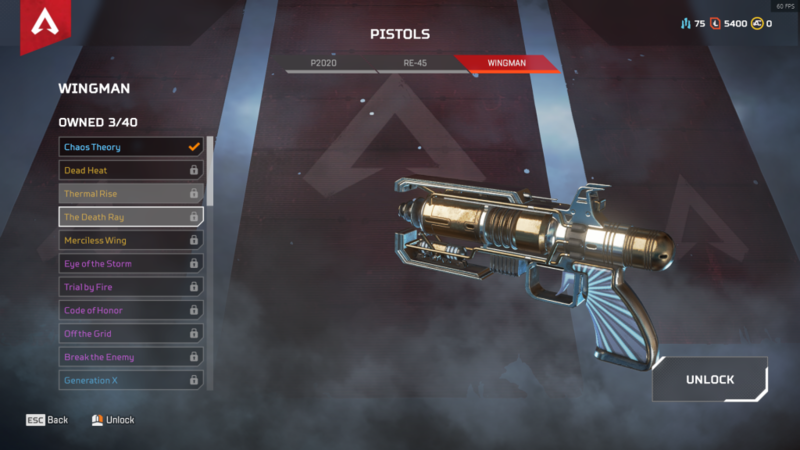 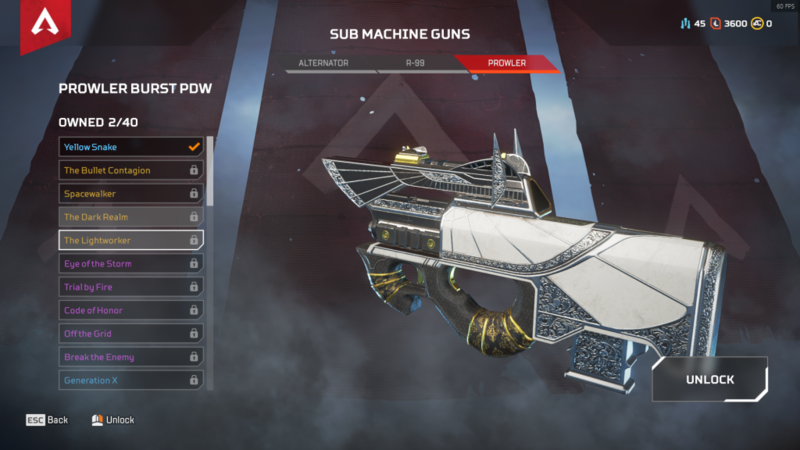 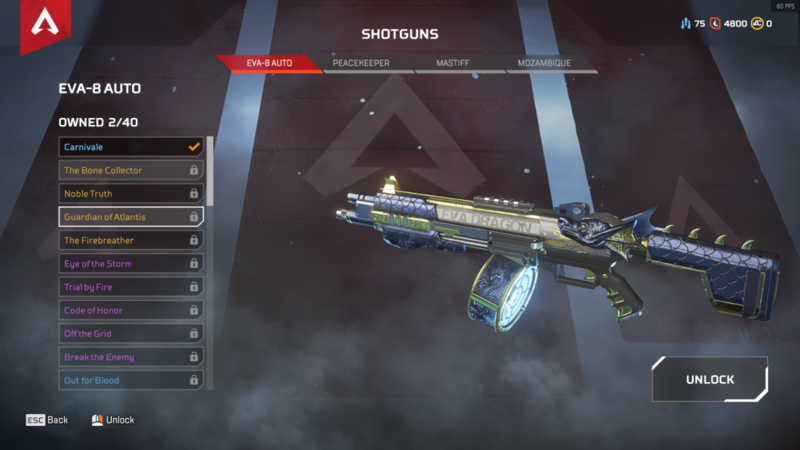 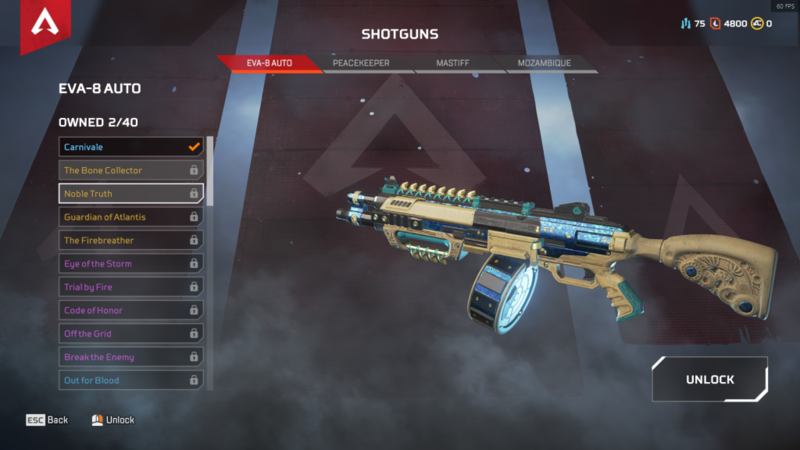 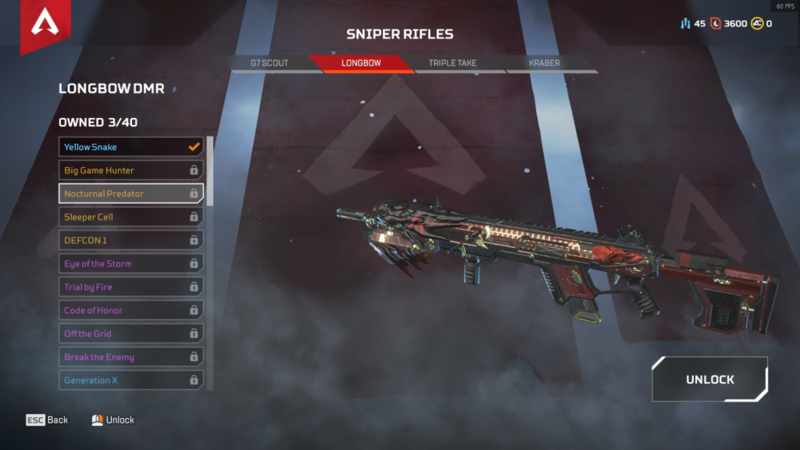 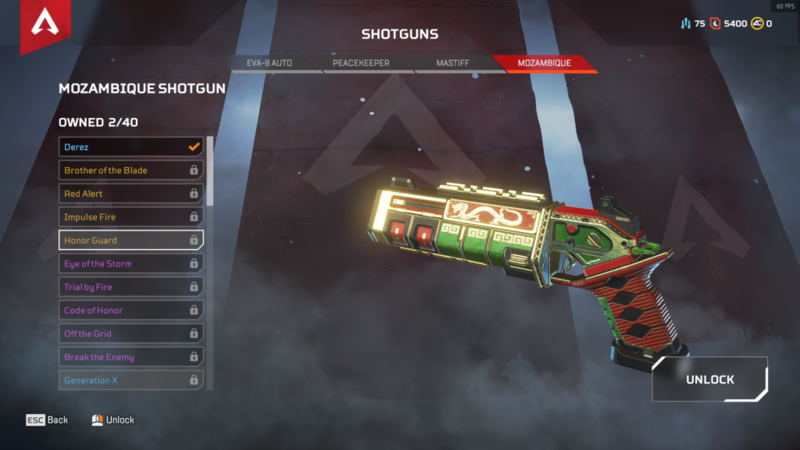 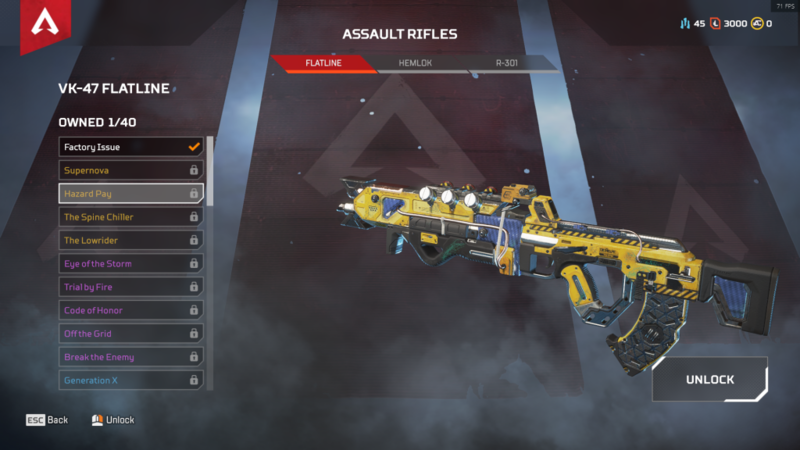 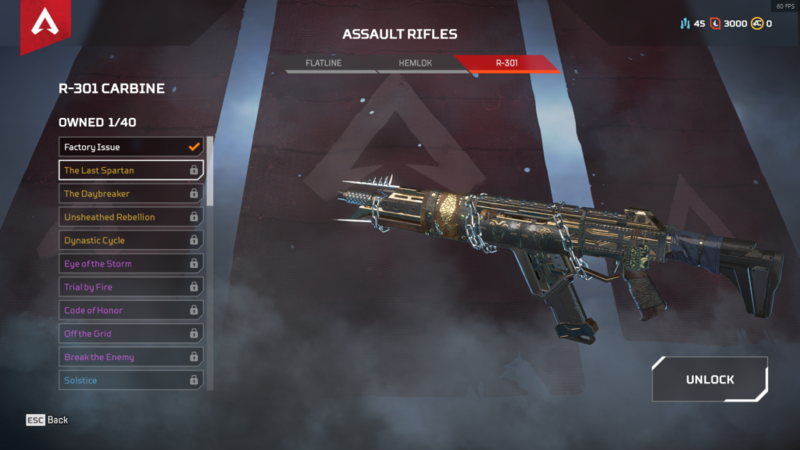 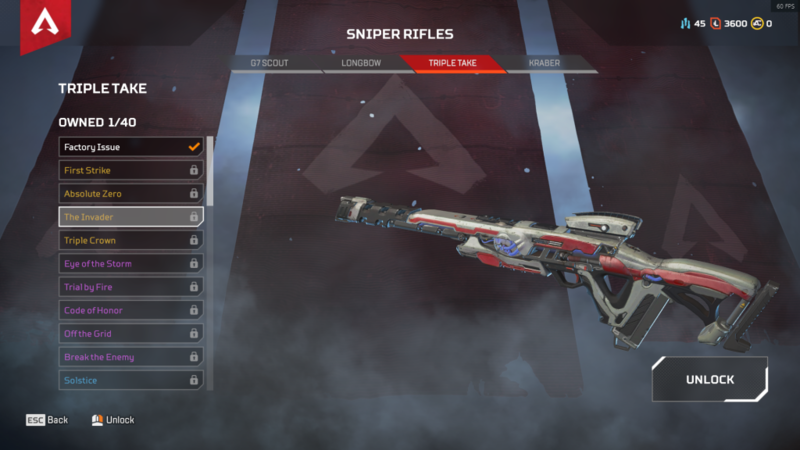 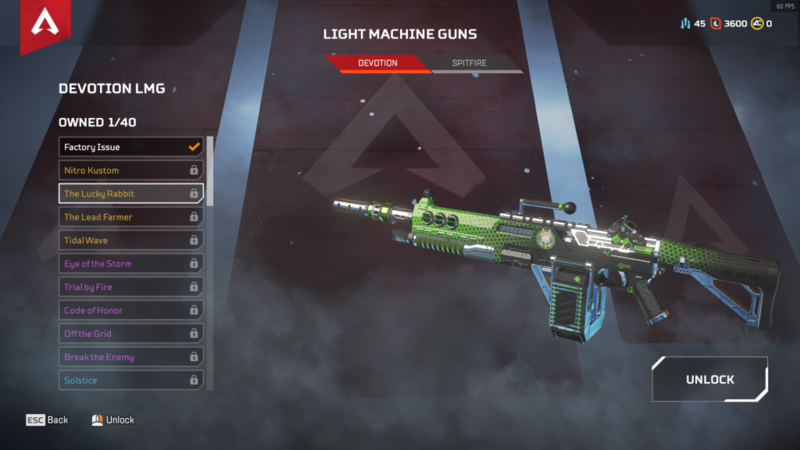 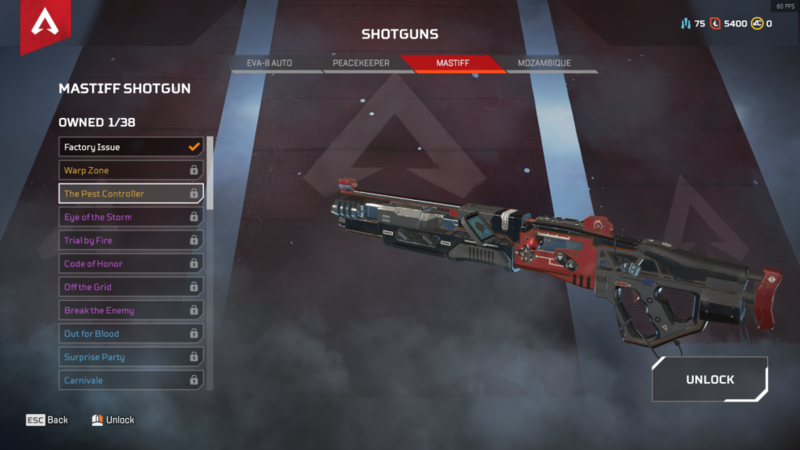 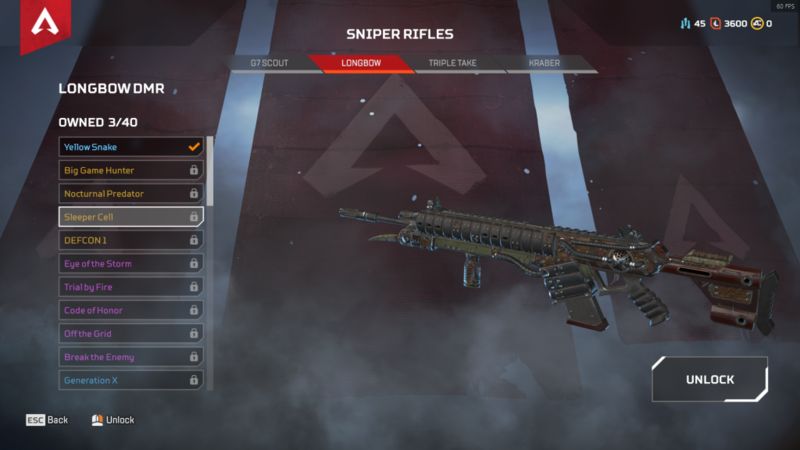 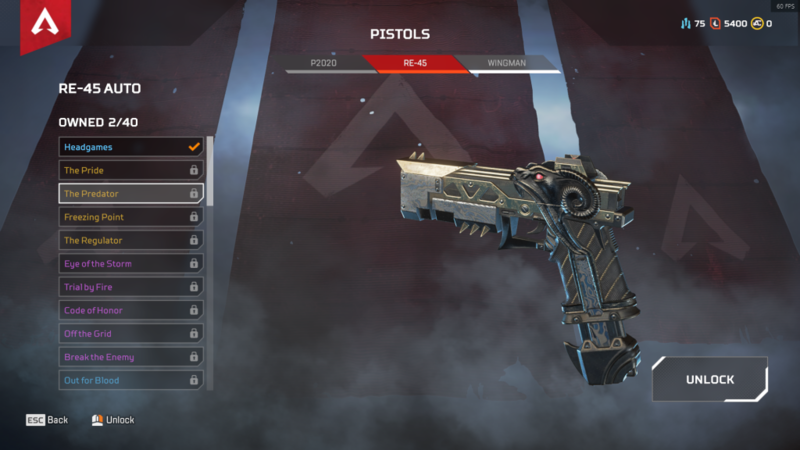 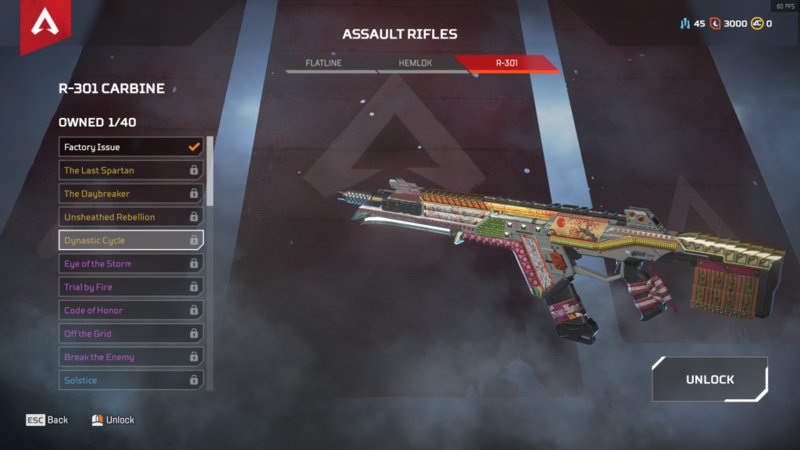 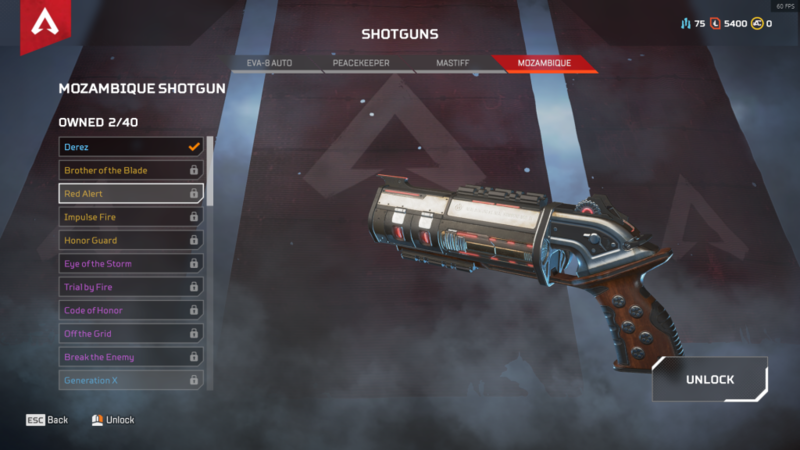 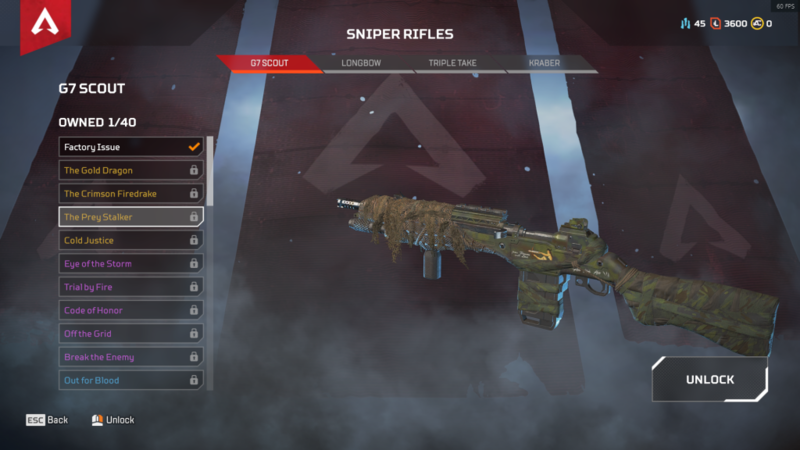 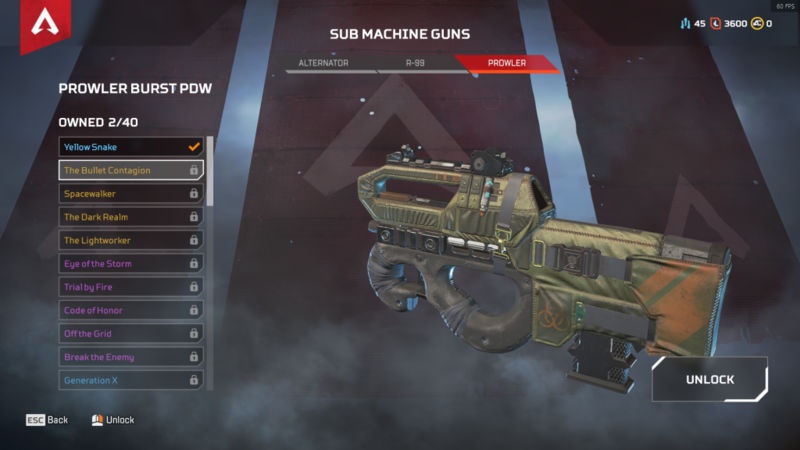 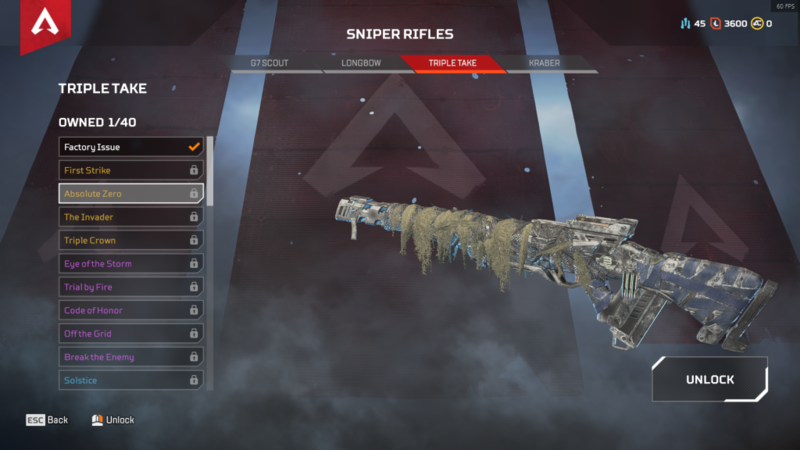 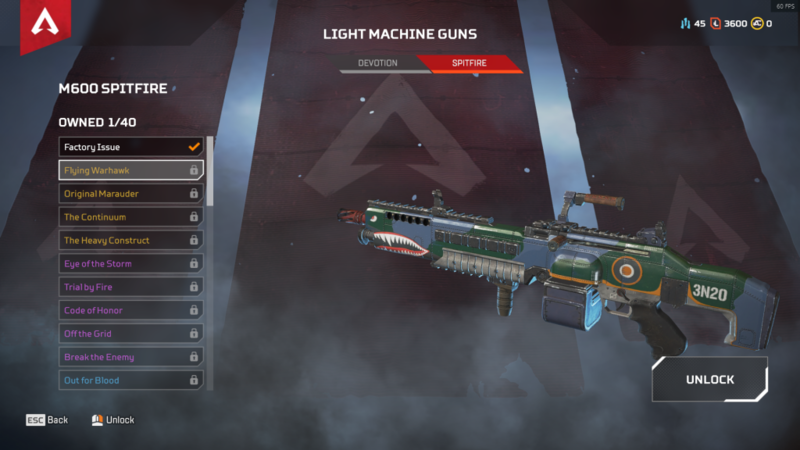 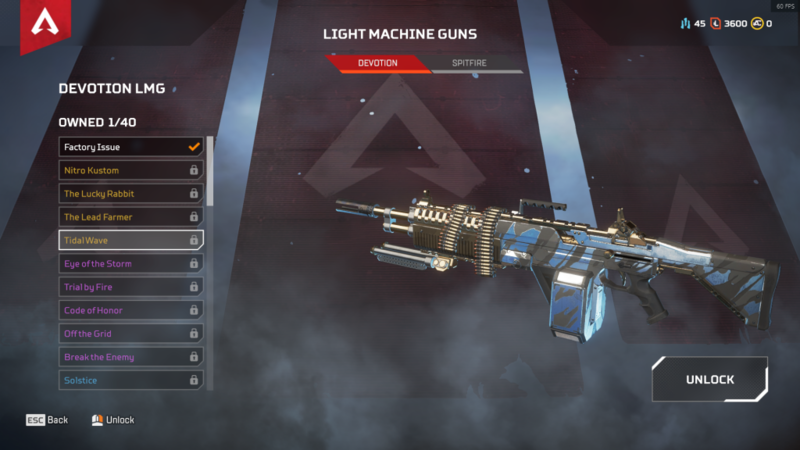 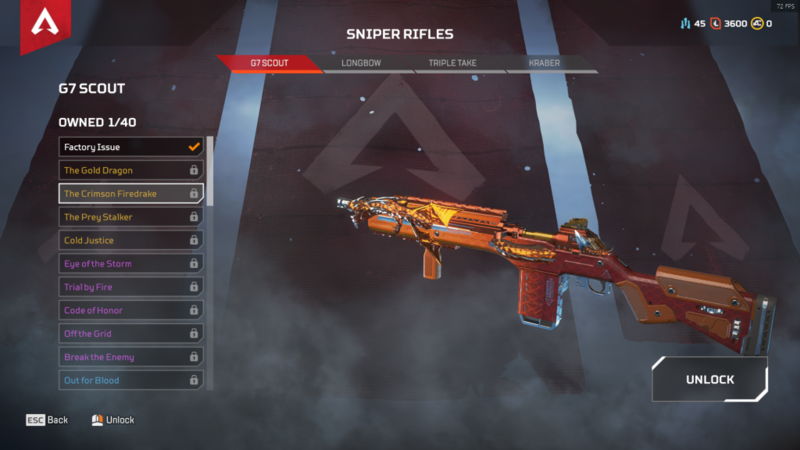 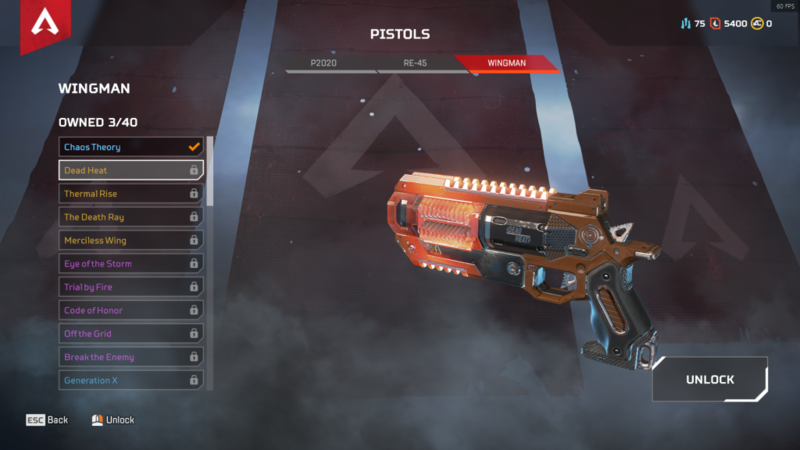 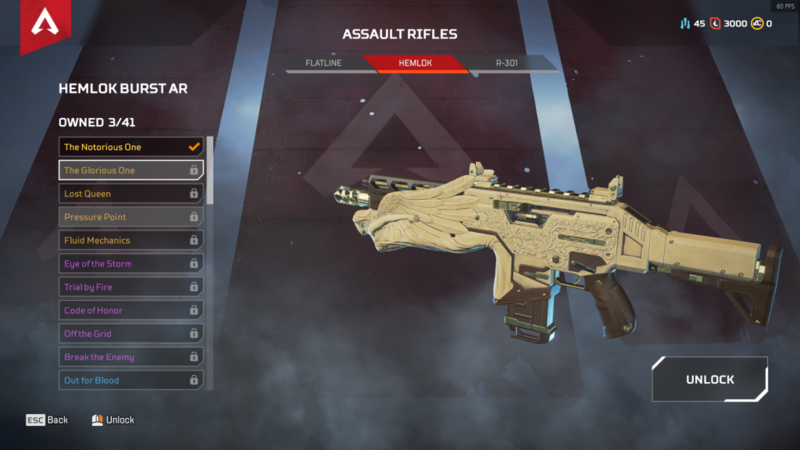 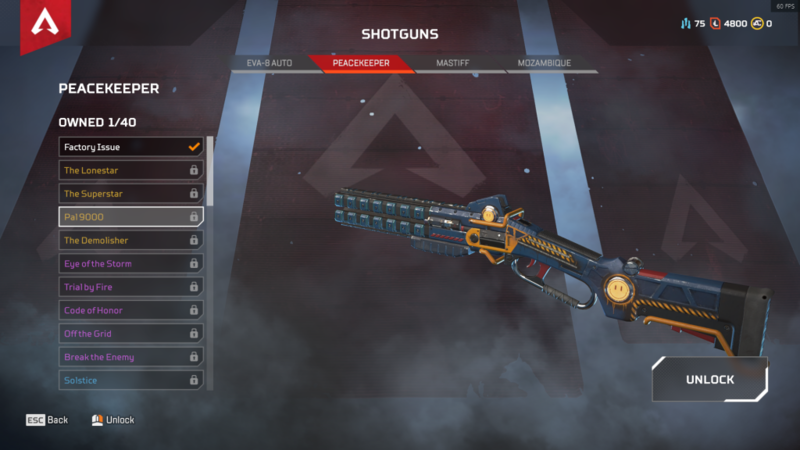 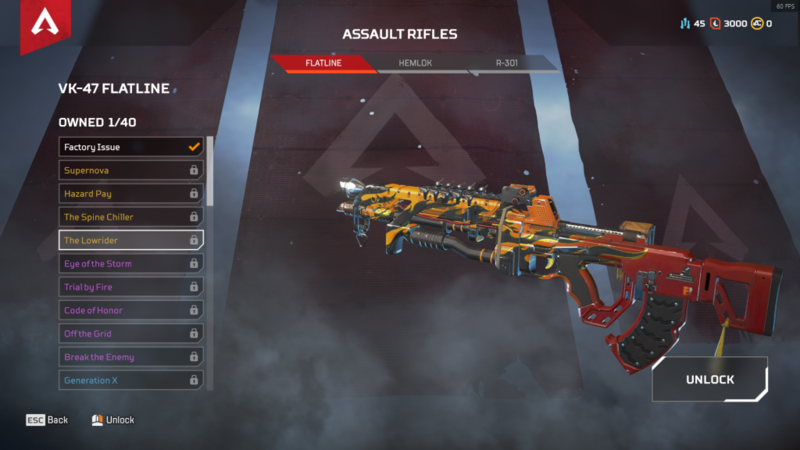 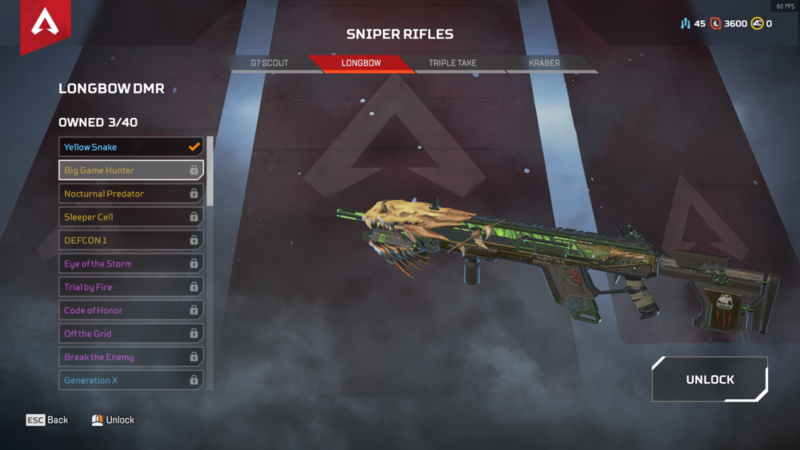 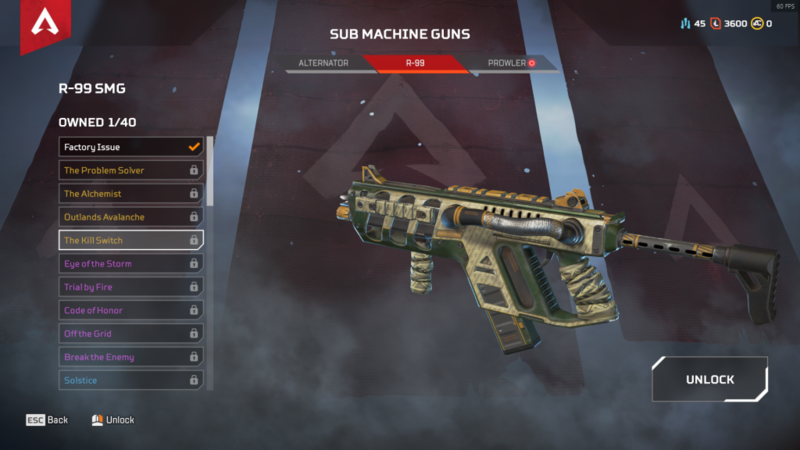 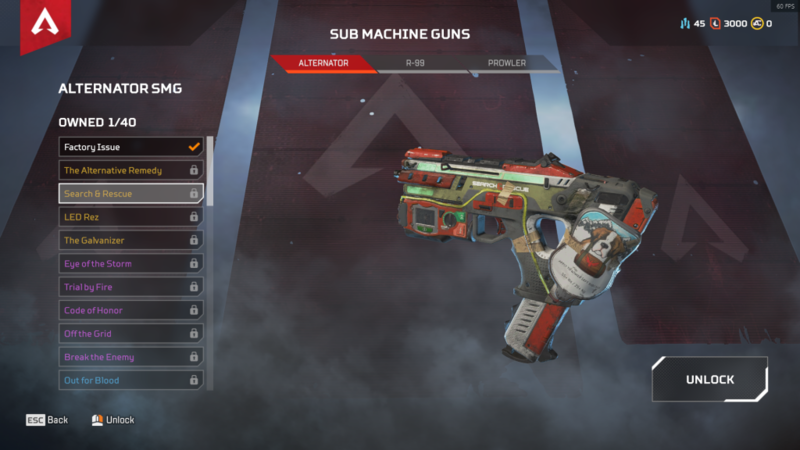 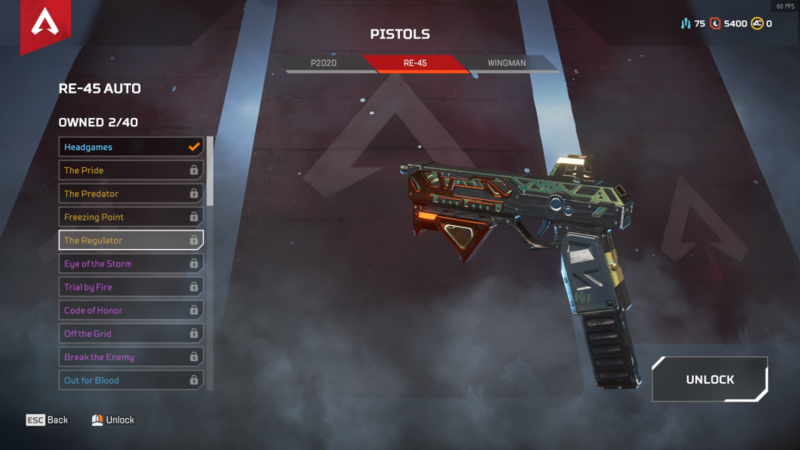 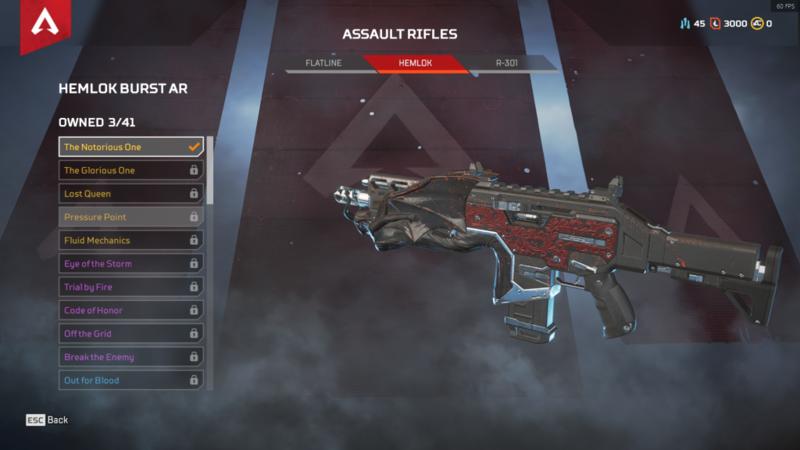 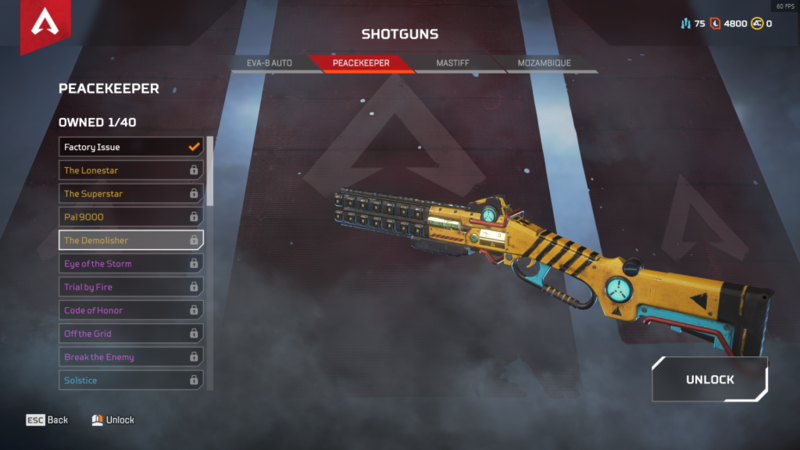 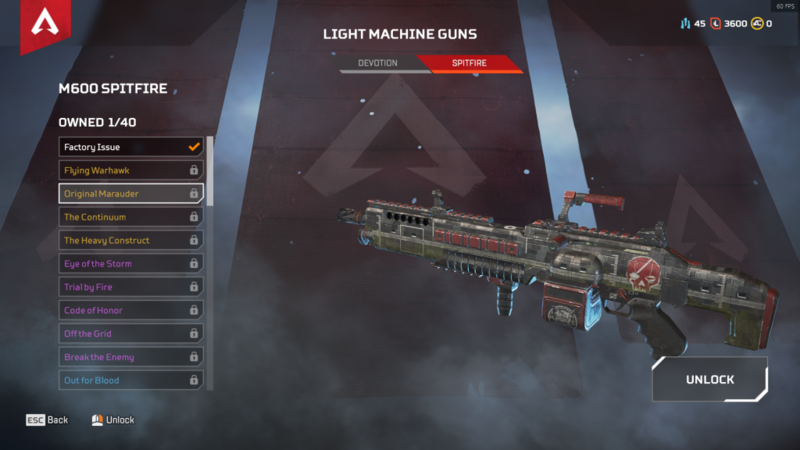 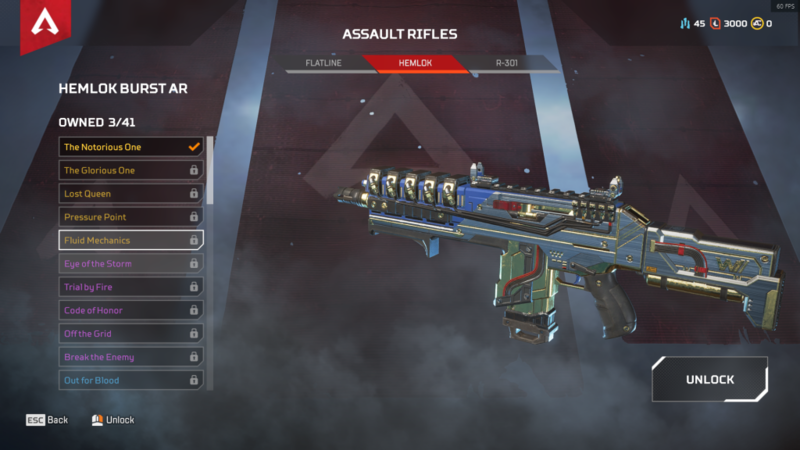 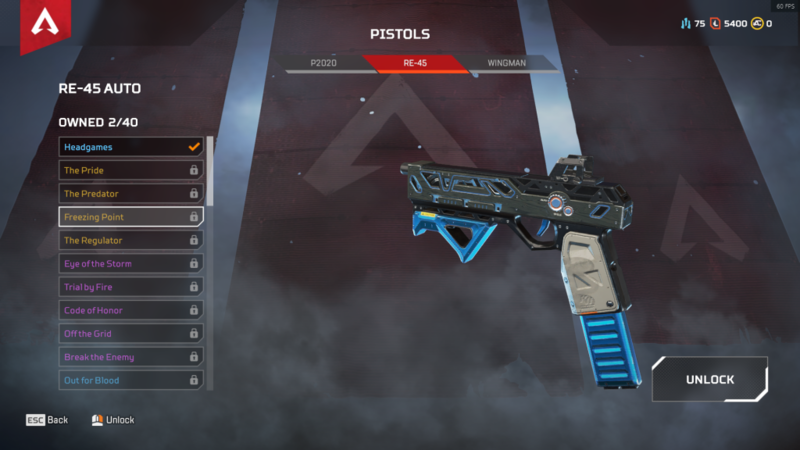 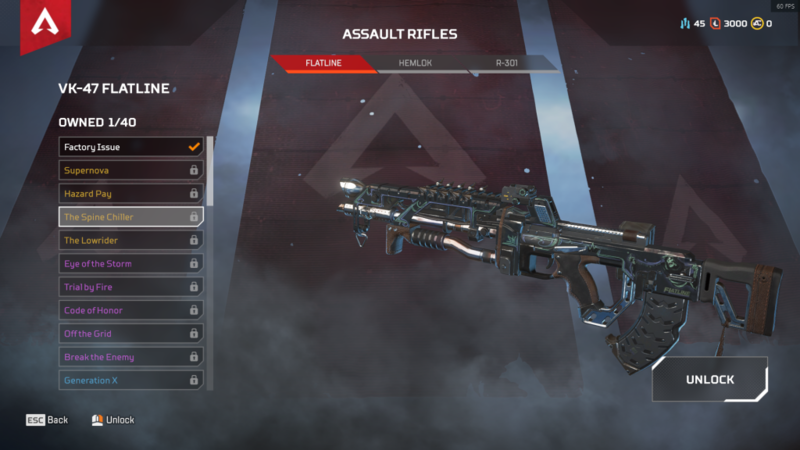 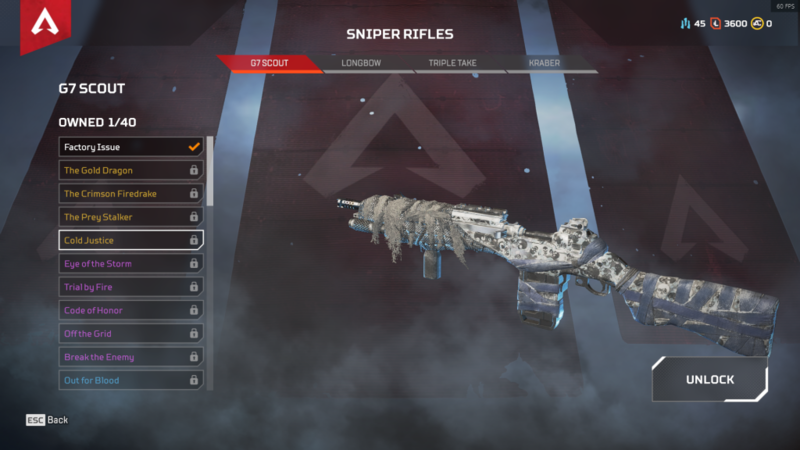 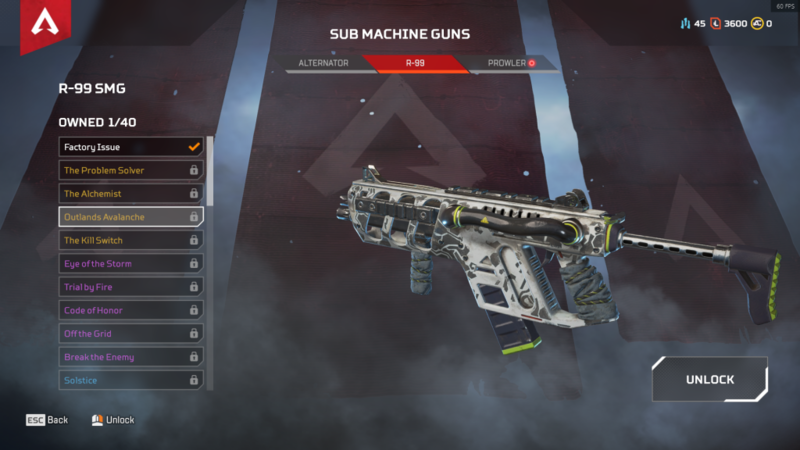 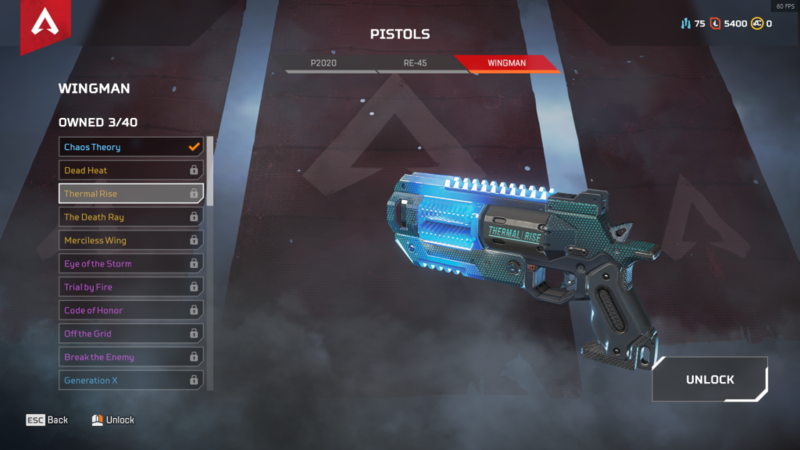 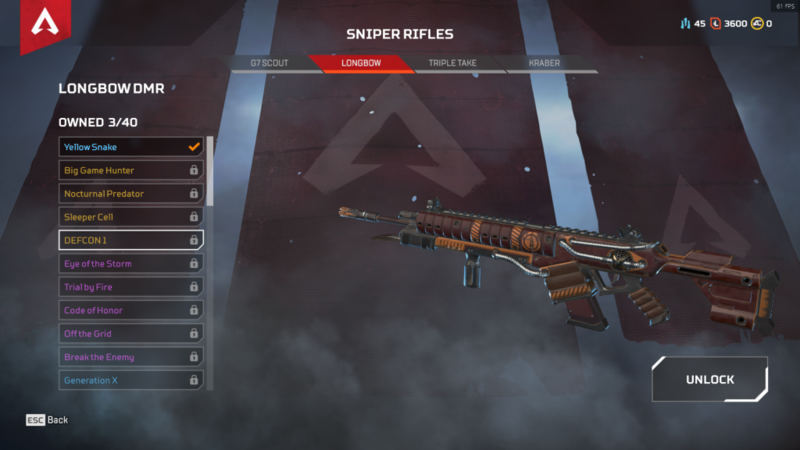 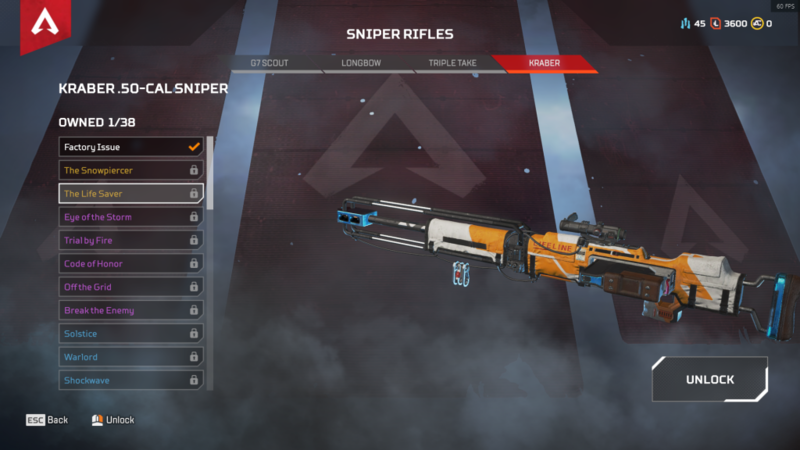 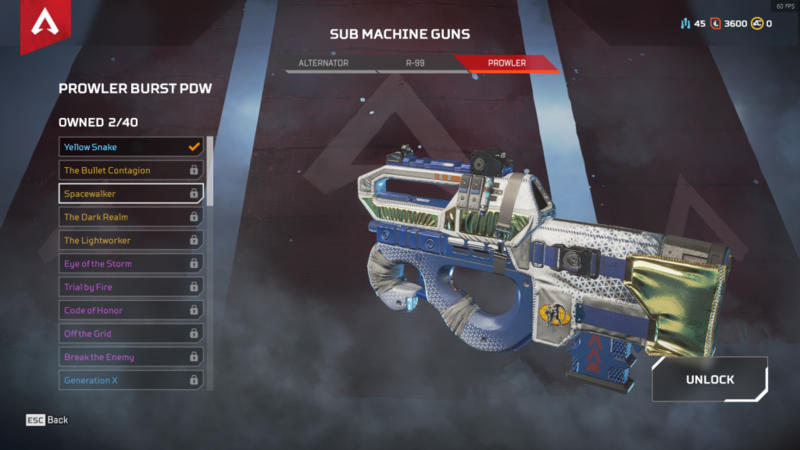 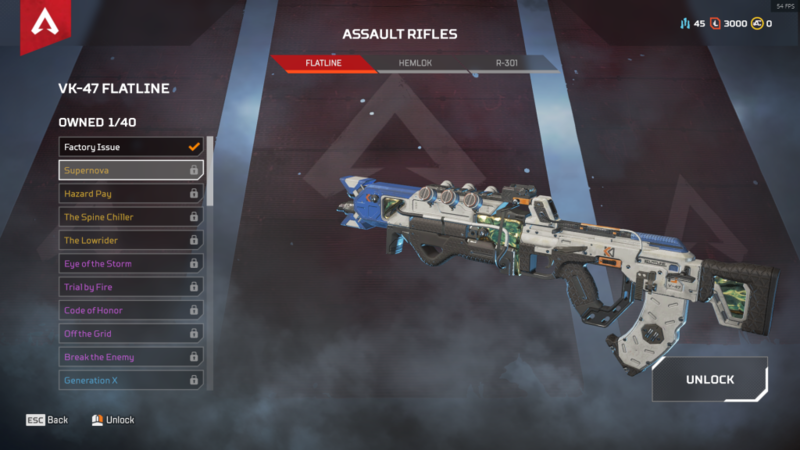 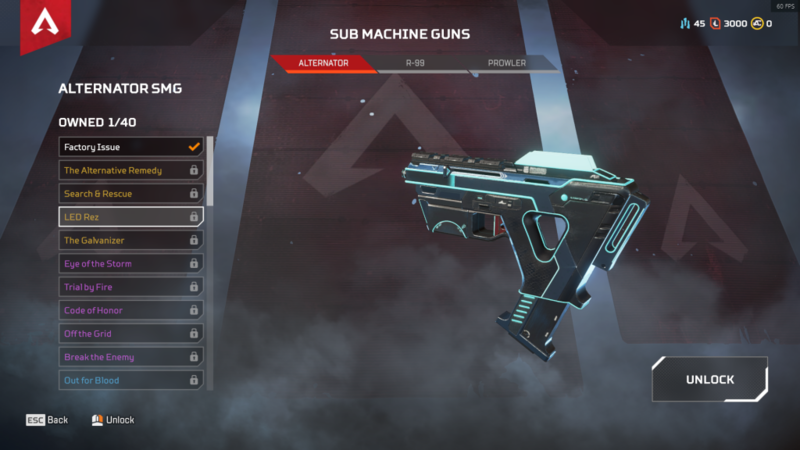 Apex Legends, Respawn Entertainments new battle royale game, has a bunch of different skins on offers for its many guns to customize your experience. 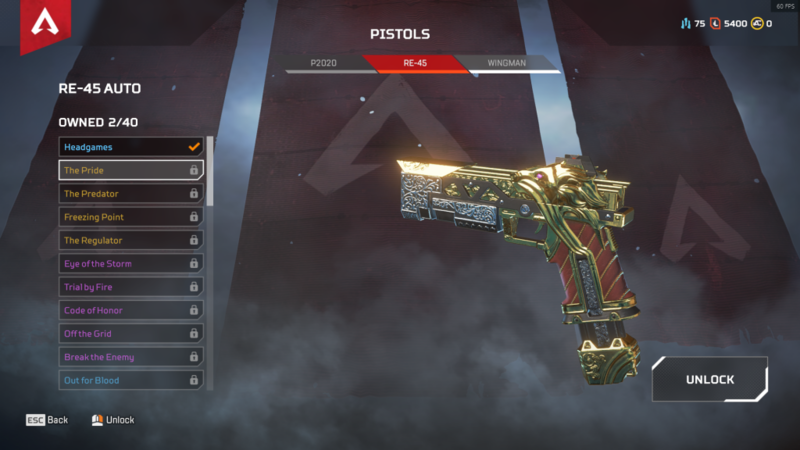 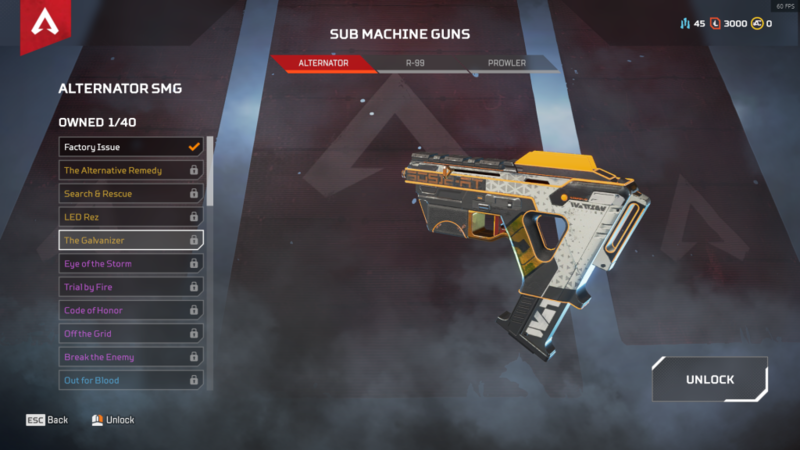 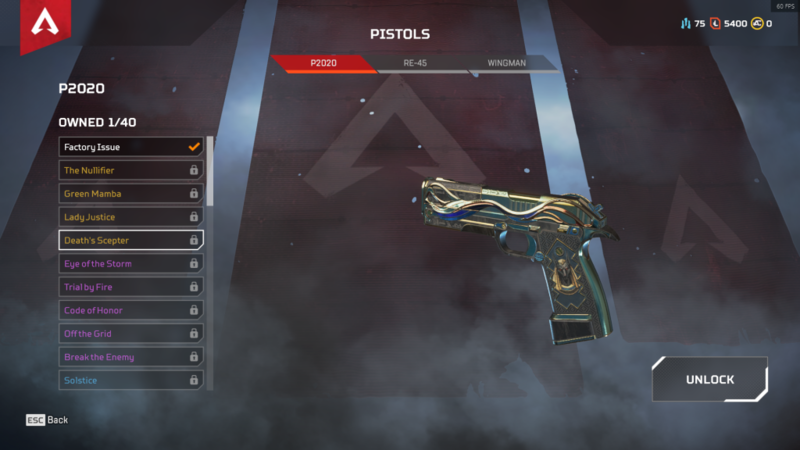 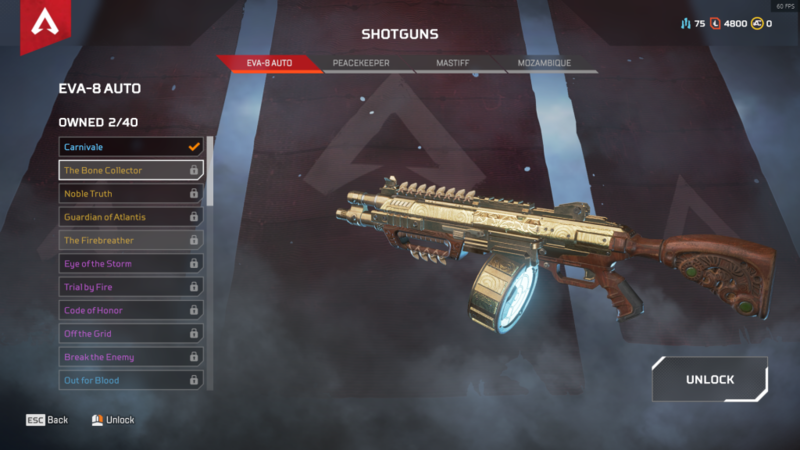 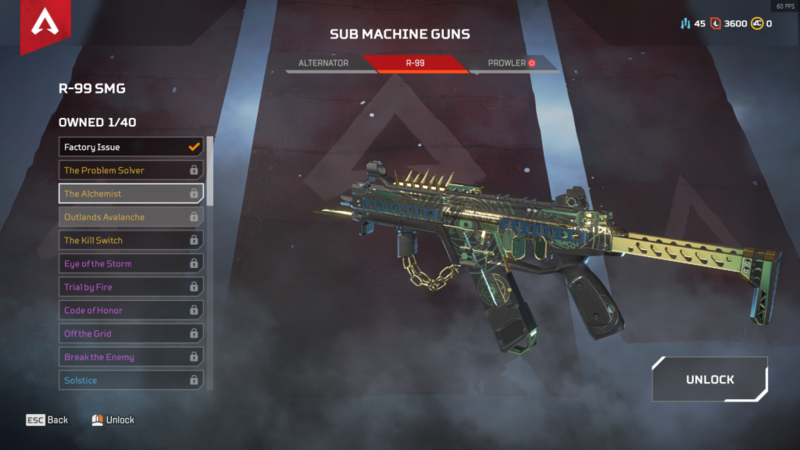 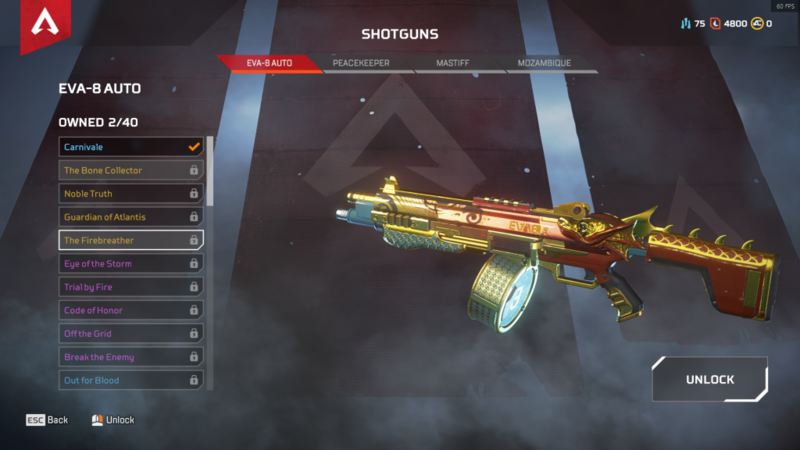 Legendary weapon skins, the rarest of all the skin types, are a good way to customize your weapons with more alluring looks. 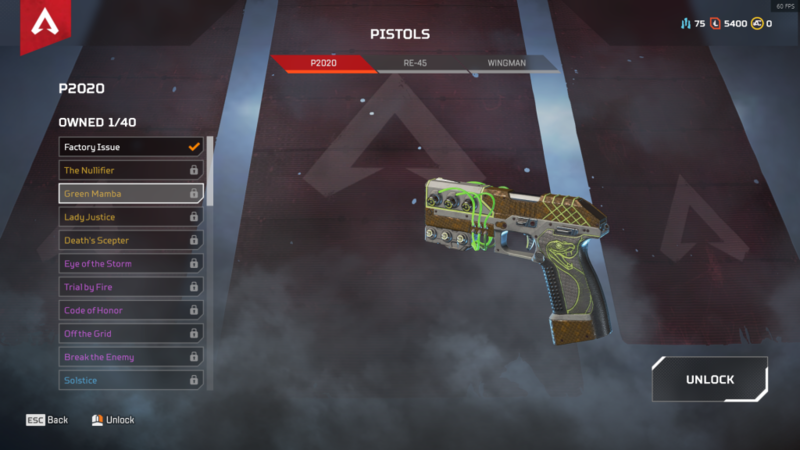 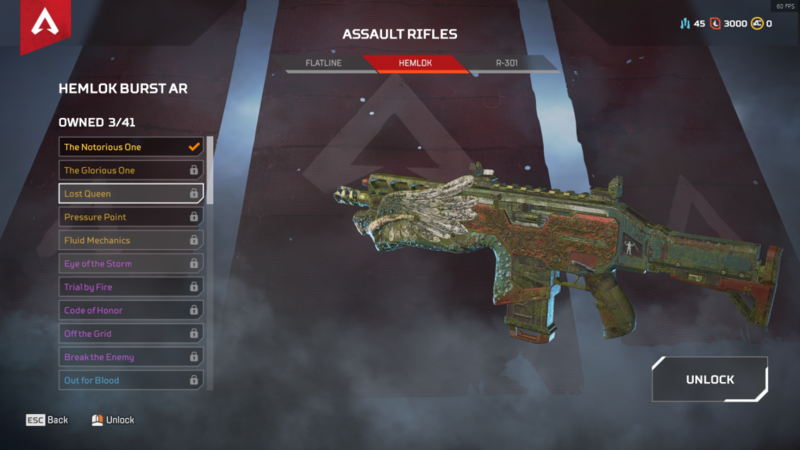 The Legendary Skins also sometimes change the shape of the weapon to reflect its new look. 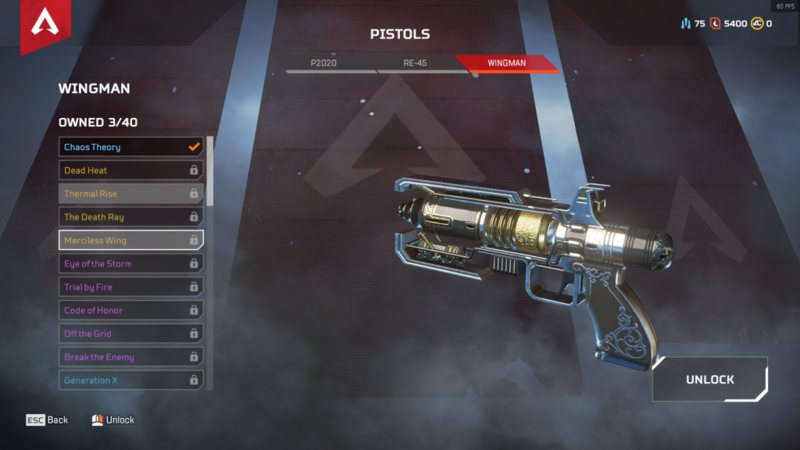 While opposing players might be more interested in shooting you than looking at your gun, however, it still a nice thing to have—so long as you can afford one. 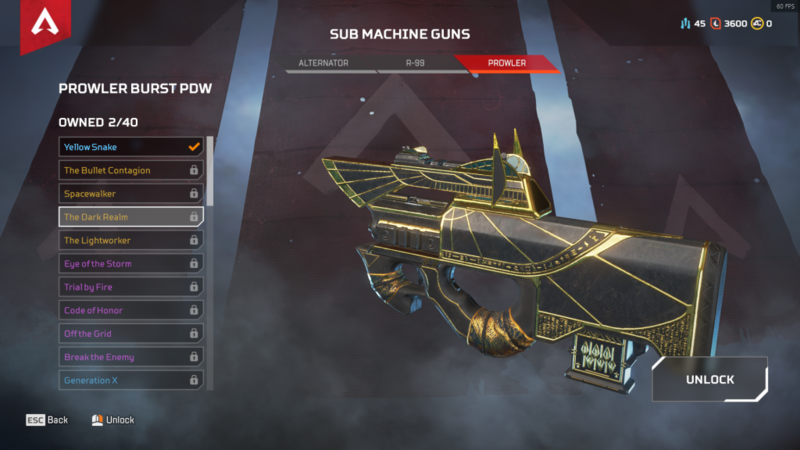 Every weapon has four Legendary Skins that can be found in loot boxes, bought, or crafted, apart from the Hemlok Burst AR which has five. 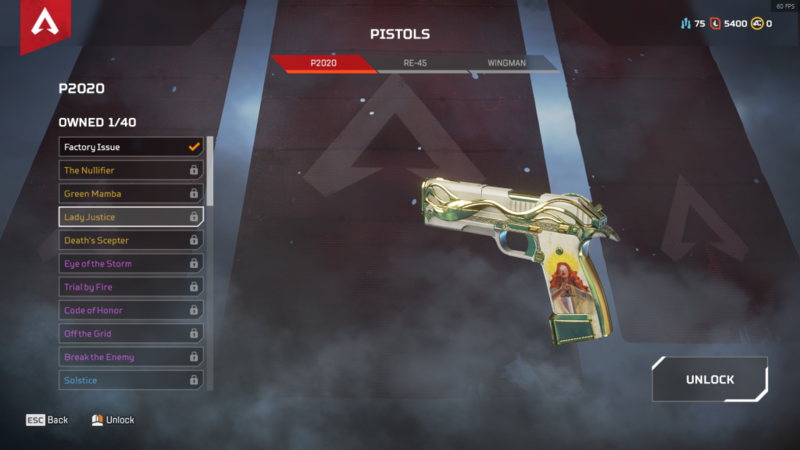 This is because a Legendary Skin was given to Founder members when the game first released that was exclusive to them. 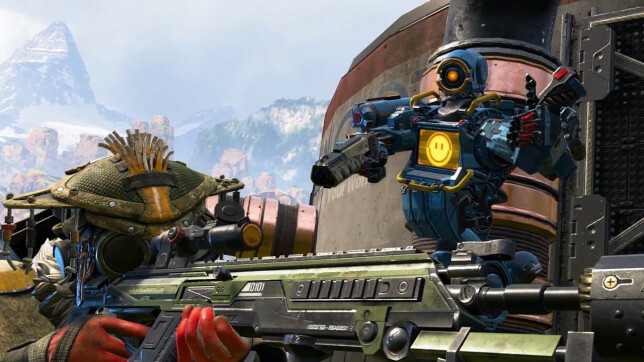 All images via Respawn Entertainment.